Operators collect terabytes of data every day from electronic systems driven by the recordkeeping required by USDA. Sadly, very little of that data is re-purposed to provide business insights. That’s because the ability to effectively standardize, analyze, and compare data across schools, districts, states, and nationally depends on use of a common language. 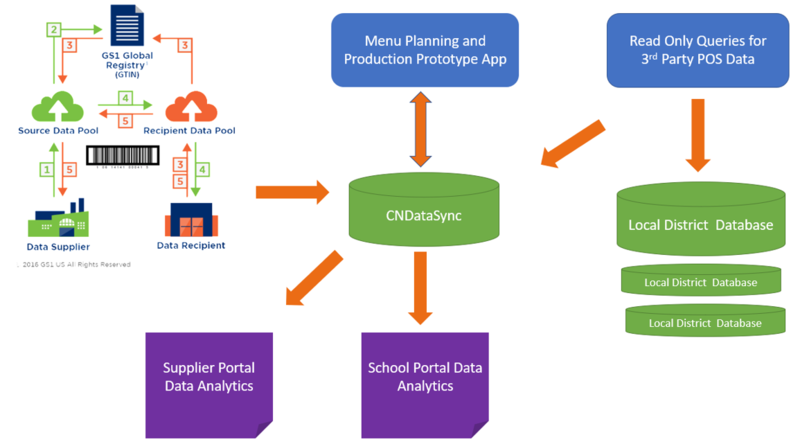 The “common language” known as the GDSN (Global Data Synchronization Network) have been widely used for decades within other segments of Foodservice industry. In 2018, new attributes were added to GDSN standards and protocols finally addressing the specialized data needs of the K-12 segment. The basic infrastructure is in place and several major suppliers are already on board and are publishing data to the Nourish to Flourish (N2F) data pool. All have agreed to support the industry wide initiative by carving out a “quiet” development period supporting the N2F initiative in order to refine the standards and avoid duplicative splinter efforts. Local dairy councils, state agencies and school districts have also agreed to participate in the pilot to test the data collection and reporting protocols. This pilot will start in May 2019 and run for approximately 18 months. 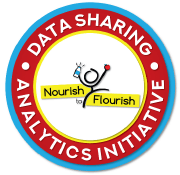 Following agreed to protocols with Nourish to Flourish leadership, and in consultation with K-12 stakeholders, Nourish to Flourish will publish open data standards, including GTIN attributes. We will also address data standardization and sharing for school operational attributes (subject to FERPA and COPPA restrictions) to create compatibility with any school nutrition software. There is no obligation for pilot schools to continue using the software following the pilot period, although the current plan is to allow schools the option of continuing to use the N2F software at no cost. Suppliers will have the option to subscribe to the new data analytics platform containing a single database supporting real time queries from stakeholders.